The Sydney Jones Library at the University of Liverpool holds several typescripts of poems by Sylvia Plath. Typescripts held are: "Three Women" [MS.26.1(64)], "The Moon and the Yew Tree" [MS.26.1(65)], "The Rabbit Catcher" [MS.26.1(66)], and "Among the Narcissi" [MS.26.1(67)]. The reference number is: GB 141 Plath. The typescript of "The Rabbit Catcher" is annotated; the word "CHEVREAU" is handwritten in next to the first line, "It was a place a force." The handwriting does appear to be Plath's. There are other small annotations (not in Plath's hand) and variations on the typescripts to those Ariel typescripts held at the Mortimer Rare Book Room, Smith College. The typescript of "Three Women" appears to be a reading copy - or something similar - for a 1968 broadcast of the verse poem. The Special Collections also holds a respectible collection of books by Plath. The Sydney Jones Library (Special Collections) at the University of Liverpool holds many Ted Hughes related items, as well as other contemporary poets such as Seamus Heaney. To search for items in their catalog, click here. I would like to thank Edward Mendelson of Columbia University for directing me towards the Location Register of English Literary Manuscripts and Letters at the University of Reading (U.K.), which enabled me to locate these items. Last December, I posted a list of other Sylvia Plath items held by unknown or unlisted libraries. Many of these listings have been confirmed through the Location Register. I am in the process of confirming other holdings listed through this database and will report on each as I can. Aside from the copy offered for sale at the Boston Book Fair, WorldCat lists five other copies of The Bell Jar with the issuing city of publication being Taipei, Taiwan. These are purportedly held in the following libraries: University of North Carolina, Chapel Hill; Lakeshores Library System in Waterford, Wisc. ; Middle Georgia Regional Library in Macon, Geo. ; Annie L Awbrey Public Library in Roanoke, Ala.; and the Harris County Public Library in Houston, Tex. A search of UNC-Chapel Hill's catalog confirmed their holding this title in their Rare Book Collection. In corresponding with a librarian there, their copy has maroon cloth over the boards, but otherwise appears to be similar to the copy I saw at the fair. The Harris County Public Library no longer owns a copy of this, according to a librarian there. I have additional inquiry emails out at present and will report back what I learn but am not hopeful that these other libraries hold, in fact, this copy. 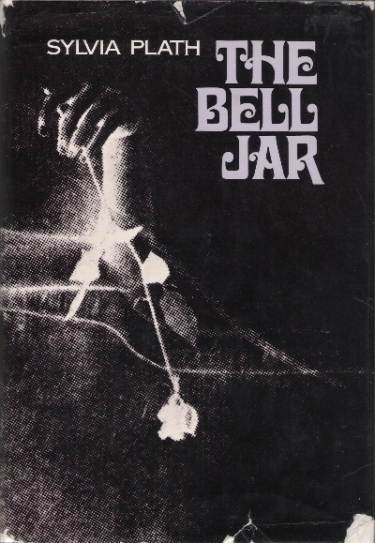 The dust jacket on this pirated edition of The Bell Jar replicates that of the first American edition, and it is clearly a very bad reproduction - likely a color photocopy. The copy I saw has green cloth over boards; and the cloth was so poorly adhered that it bubbled up in spots. On the spine of the book, the author and title are stamped in silver. Sylvia Plath is written in a cursive or italic script. The copyright page states that the book is "First U.S. Edition". But, that just means obviously that they reproduced a first American edition. Normally pirated materials remain anonymous, which makes the presence of such detailed information about the publisher & printer quite odd. It is not known when or how many copies of the book was published in this pirated edition, but the information given in WorldCat suggests possibly 1972 (drawn from UNC-Chapel Hill's wonderful cataloging). I was able to obtain scans of the book and hope that they are useful in illustrating this posting. A coworker's wife provided the translation of the Chinese. Plath's poem "Three Women" was also pirated; though information found in Stephen Tabor's Sylvia Plath: An Analytical Bibliography suggests it was an "inside job" done in Oakland, California, in the early to mid 1970s. This book is oblong in size, and with a mustard yellow cover (to match Max Nix's suit!). 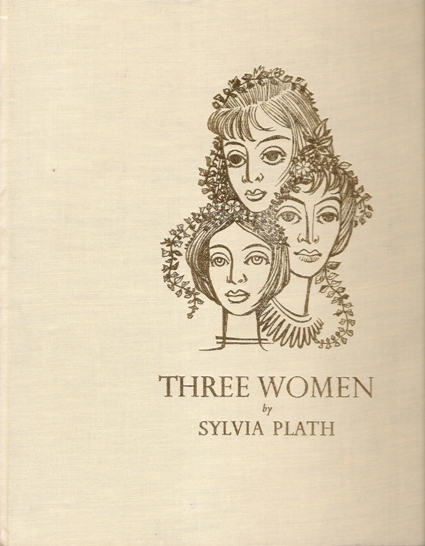 "Three Women" was published in a beautiful limited edition in 1968 by Turret Books and includes an Introductory Note by Douglas Cleverdon; this preceeds its appearance in Winter Trees by three years. 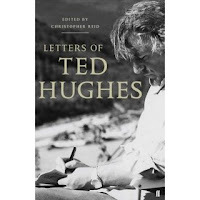 Regina Marler of Truthdig reviews Letters of Ted Hughes. Thanks to Lucy Berbeo for the referral. Sheila Farr reviews Letters of Ted Hughes in the Seattle Times. Frieda Hughes's most installment in the Daily Mail appeared this week. Read "The magpie who came to stay: Artist Frieda Hughes has an unexpected house guest to her dream garden". Somehow I missed her 10 November contribution, "Rocky days, stormy nights: How Frieda Hughes transformed a desolate one-acre field into the garden of her dreams". Published recently is a collection of poems by Jim Long of Honolulu, HI. Between Wings: Poems is available through Lulu.com. 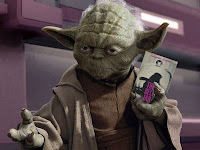 Many of the readers of this blog will be familiar with Jim through his masterful, eloquent, and thoughtful contributions to Elaine Connell's Sylvia Plath Forum. In addition to the preview available through Lulu.com, two of Jim's poems were posted on the Forum. Read "Edgelit" and "Epitaph for Sylvia". My copy is on its way to me now. 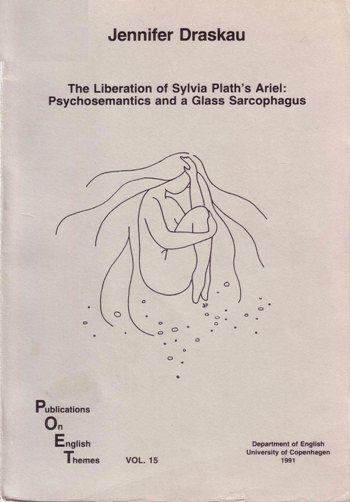 Jennifer Draskau's The liberation of Sylvia Plath's Ariel psychosemantics and a glass sarcophagus. Publications on English themes, v. 15. [Copenhagen]: Dept. of English, University of Copenhagen, 1991. 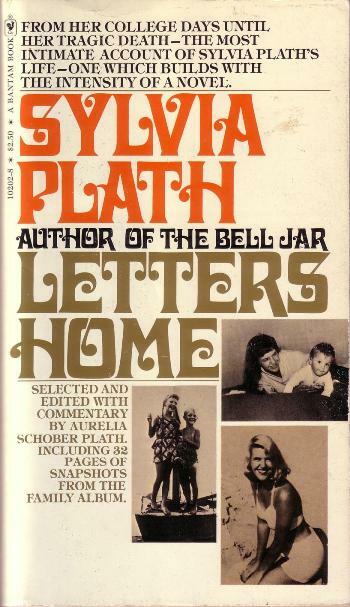 Sylvia Plath's Letters Home, the Bantam edition from 1977. There was an image of this online already, however, this is a much improved scan. If you have books - in English or not in English - that are not on 'A celebration, this is', I would truly appreciate your sending me scans of the covers for inclusion in the book cover gallery. The gallery of non-English titles is particularly weak. Submissions to Volume 2 of Plath Profiles are coming in, and I am writing to encourage more!! Visit Plath Profiles to read Volume 1. Early next week I should have a posting ready about that one unique item I saw at the Boston Book Fair; just waiting on images & a translation. The 32nd annual Boston International Antiquarian Book Fair concluded Sunday, but sales figures and the success of the fair won't be known for some time. There were 139 dealers displaying their wonderful books: old, new, rare, signed, weird, etc. I kept my eye open for Plath titles, as you'd probably expect! Jett W. Whitehead, of Bay City, Michigan, who specializes in Modern Poetry, First Editions, Chapbooks, and Broadsides, has two extremely lovely Plath items for sale at the moment. The first, a copy of the first Faber edition of Ariel signed and inscribed by Ted Hughes to the Hungarian poet Janos Csokits, stained of thatch drippings from Court Green. At $12,995 it's available for only the most serious collector. The letter that accompanied this gift to Janos Csokits is reprinted in the Letters of Ted Hughes, see page . The actual letter is held in the Ted Hughes papers at Emory Univeristy. The other unique item he has, at $17,500, is a handwritten manuscript of a poem entited "The Snowflake Star". "The Snowflake Star" was written about 1946, and was published on page 9 of the The Phillipian in February 1946, while Plath was a student at the Alice L. Phillips Junior High School in Wellesley. 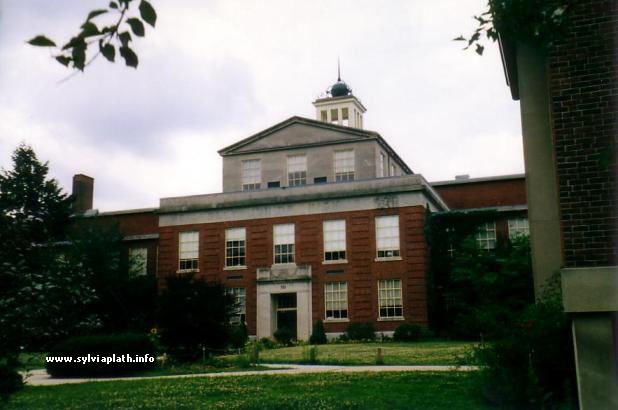 The school is now, plainly, the Wellesley Middle School. Autograph manuscripts of Plath on the market are rare. Jett even flattered me by having, on hand, a copy of my biography of Plath which he asked me to sign. It's all poetry all the time with Jett W. Whitehead Rare Books, and Plath's poem "Kindness" clearly speaks of him: "The blood jet is poetry, / There is no stopping it." Royal Books, of Baltimore, Maryland, had a binders copy of Plath's Crystal Gazer, for a cool $4250. Royal recently acquired it, and based on the description on the sellers website, I believe it may be the same copy formerly for sale through Nigel Williams Rare Books of London, also present at the Boston Book Fair. Sales between dealers before the Fair is a common sort of thing. Crystal Gazer was one of a number of limited editions of Plath's work that Ted Hughes, Olwyn Hughes, the Rainbow Press, and others printed in the early 1970s. The timing coincides with the UK and US publications of Crossing the Water and Winter Trees, and the first US publication of The Bell Jar. 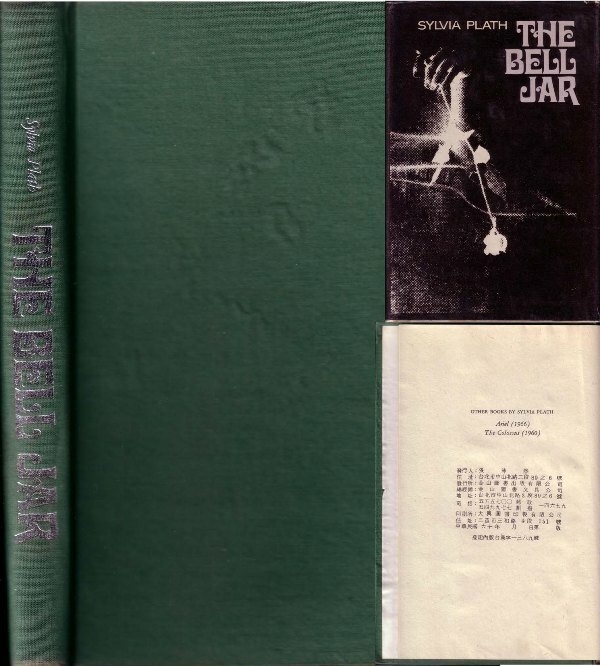 Between the Covers, of Gloucester City, New Jersey, has a very, very nice true first edition of The Bell Jar (Heinemann 1963) by Victoria Lucas ($10,000) They have dozens of other Plath titles for sale, all recently acquired and cataloged. Some of these were on hand including a first Faber Ariel, first Faber Winter Trees, and first Knopf Colossus. I was completely struck by Winter Trees - which a number of sellers had, on average for $200 - in a shockingly bright blue dust wrapper. Completely gorgeous. Peter L Stern, of Boston, had the most expenive edition of a Victoria Lucas The Bell Jar at $12,500. Behind glass for a good reason, for as Yoda would say, "Not good for books drool is". Thomas Goldwasser, of San Francisco, had the the most expensive Plath book at the show, the signed and inscribed copy of the first, Heinemann Colossus that Plath gave to Theodore Roethke ($65,000). Books inscribed by Plath are few and far between. Rick Gekoski talked about selling Ted Hughes's copy of The Colossus, given to him by Plath, in his wonderful book Nabokov's Butterfly (in the UK, this book is called Tolkien's Gown). Goldwasser also has two copies of Howls & Whispers, the limited edition that Hughes and Leonard Baskin published in 1998 of 11 poems not included in Birthday Letters. These poems were printed in The Collected Poems of Ted Hughes. Charles Montieth's copy of The Colossus was also for sale at one point, I believe, but has since been snatched up. Likewise, in 2002, Wilbury Crockett's copy of The Colossus, signed and inscribed by Plath, was sold at auction. Other known inscribed copies went to W.S. and Dido Merwin and to her mother and father-in-law. Aurelia Plath and Warren Plath likely had a signed/inscribed copies, but there whereabouts are not known, and presumably are still in the family. Signed copies of The Bell Jar by Victoria Lucas would be even more rare, if they exist at all; and signed copies with Sylvia Plath as author would be improbable, and a forgery. A number of dealers had fine, first edition copies of Winter Trees, Crossing the Water, and Ariel. Other works by Plath were not visibly represented at all. A couple of dealers had limited editions for sale, like Crystal Gazer and Lyonnesse, but overall I saw fewer of these than in years previous. And from one day to the next, I did notice that a copy of Lyonnesse was sold at some point. That certain titles are prohibitively expensive is a shame, but being able to walk around, look, and touch, these items is a good experience. If you're considering building a book collection of Plath titles - or books on another subject or author - never hesitate to contact a seller who has stock you are interested in or considering puchasing. They can give you advice and become a friend and ally. I wrote a post on Collecting Sylvia Plath in August 2007 and hope that if you've started a collection since that it was useful. Many of the books mentioned in the posting I've been seeing at the fair for a number of years. It gives much pleasure to see and re-see them year after year. I'll probably miss them if they do sell. I'm doing a little further research on another title that I saw at the fair; a title familiar to me but in an edition I never knew existed. I should hopefully have something on this blog for you before too long. A reminder that the Boston International Antiquarian Book Fair is going on this weekend at the Hynes Convention Center. Fair hours today and tomorrow are 12-7 and 12-5 pm, respectively. Stimulate your economy! We have all searched for "Sylvia Plath" using Google. A search yields millions of results, and those results are a combination of webpages, documents, and other media files. And a lot of junk, too, unfortunately. There is a way to search for, for example, only PDF's where Plath's name is mention. Type "sylvia plath" filetype:pdf into your Google search box and you'll see these. Narrow your search by adding other terms like The Bell Jar, The Colossus, echoes, short stories, feminist, Mademoiselle, etc. to provide more context to your search. The results should please. There are some really wonderful documents out there, completely free. A search like this separates - if you will - some of the wheat from the chaff. David Orr at the The New York Times reviews Letters of Ted Hughes. This article appears in The New York Times Book Review, November 16, 2008, page BR15. Jackson Taylor at the Brooklyn Rail also reviews the Letters of Ted Hughes. Although it is extremely short notice, Ipswich Moving Company will perform "Tales of a Tub," inspired by the poetry of Sylvia Plath and a claw-foot bathtub and performed to live music by Michael Hamill and Sarah McManaway. It will also incorporate photographic images. For reservations, call the Firehouse box office at 978-462-7336. Visit www.firehouse.org or http://www.northshoredancealliance.org/. Just as Sylvia Plath's journals and letters home construct an autobiography of her, The Letters of Ted Hughes form a partial autobiography of him. The poems in Crow changed the way I viewed him as a poet; and Nick Gammage's The Epic Poise changed the way I viewed him as a man. These letters continue to evolve the image of Ted Hughes, which frankly had nowhere to go but up. Occasionally I asked myself, "Should I be reading these? ", just as I ask myself that same question when I regularly read Plath's journals and letters. But the answer is always, "Yes." This book, the first of its kind for a man who was known to be a very private person, further opens Ted Hughes. Similarly, in some way, to those "raw and unguarded" Birthday Letters. When Hughes sold his archive to Atlanta, he allowed for the demolition of that private wall he had built up around him. His archives are open in Atlanta, and another will be in the coming year in London, allowing further access into his life and his mind. Perhaps these letters, selected and edited by Christopher Reid, are not as candid as his private journals are, but over the many decades of Hugheses writing life, these letters show many phases of this controversial man. They make for fascinating reading and remind me of what a good writer he was. Throughout the book, Hughes constantly looks back and what had had done - creatively - and talks about what he should (or could) have done. I wonder if his late confession that writing and publishing Birthday Letters really did free him? Being on this end of the creative process allows for a unique perspective into Hugheses writing habits, publishing habits, etc. We're on the outside looking in; while at the same time on the inside looking out. Hughes was always amenable to collaboration, most successfully with Fay Goodwin in The Remains of Elmet and Seamus Heaney in The Rattle Bag and The School Bag. But, one wonders if the collaboration was done as a distraction, or a way to avoid certain things, or if he hoped it would spawn poems. But, from all this wonderful correspondence, the one major selling point - to peanut crunchers like you and like me, is the life, death, and afterlife of his first wife, Sylvia Plath. The love letters to Sylvia Plath are beautiful. It makes one wish their courtship was longer. In a world of short & staccato emails and incomprehensible & abbreviated text messages, it is reassuring to read actual love letters. However, from the height of this courtship, the letters reach their nadir in the late summer 1962 letter to his sister, Olwyn Hughes, where the discussion focuses on his need for cash, to "swell a private account." This is a far, far cry from the letters addressed to his "kish and puss and ponk." And the letter from September 1962, also to Olwyn, is one of those curious ones sent maybe from London by Alvarez or someone else, when he may have been in Spain already with Assia Wevill. From 1963 until the end of his life, the letters to Plath's family or friends, those regarding Plath publications, and Hughes' attitudes about Plath the poet and Plath the person make revelatory reading. For those whose only knowledge of their relationship was through biographies or even through the poems in Birthday Letters, the gains in understanding may be incalculable. Any letter included in this volume regarding Sylvia Plath should help to understand certain decisions and attitudes held and made by the Estate. If there are more letters out there, we can hope they too will be published or come to view, as well. The letters to Assia Wevill never quite match the passion of those to Sylvia Plath, but the nature of the relationship was so different that comparing them seems unfair. These letter say to me that she was just the other woman. Fortunately there is material about her (A Lover of Unreason) that does give her more presence. The letters from the 1970s, 1980s, and 1990s are fascinating, and there are spikes of interest that where the topic is Plath publications, biographies, and controversies. A huge change occurs in letters of 1997 and 1998. Hughes really begins to open up autobiographically. And, in particular, the letters just before and after the publication of Birthday Letters leading up to the last one are extraordinary. I found his surprise at the response and reaction to publishing Birthday Letters to be genuine; but that being said, I cannot fathom what would have happened had he published them sooner. The 1970s were marred by the rise of feminism; the "letters" just would not have been accepted. This carried into the 1980s when her Collected Poems & Journals were published. The later 1980s and early 1990s saw the rise of the Plath biography machine; making his own story seem defensive in a way; they could have been read as a corrective and would not have helped much. So, the timing being what it was, was just about perfect; it is unfortunate that he was declining in health. By 1998, things had quieted down enough to make the reception optimal. And, it worked. The best letters selected show Hughes supporting other poets & collaborating with a variety of artists and those to Frieda and Nicholas. His love for fishing is evident in the many letters on this topic and make - to my surprise - probably the most interesting reading. They show his most natural talent for detail, description, communicating, and living. The photographs portray those closest to Hughes, and of particular interest were photographs of Frieda and Nicholas. Seeing them with their mother as babies, it was astonishing to see them as toddlers, children, and young adults. Frieda has been more of a public figure than Nicholas, and while I respect both of their rights to privacy, I could not help being moved in the photograph of Nicholas and the Pike. Afterall, he was "the one solid the spaces lean on, envious." Though many letters are already held in archives, seeing them in a single volume makes for enlightening reading. However autobiographical they are, Christopher Reid is in the role of storyteller through his selecting and editing of these letters. The notes indicate many instances where text is missing, and one wonders what letters were not selected and what they may - or may not - add to this one-way life of the poet. Reid's notes, which follow many letters and introduce many "chapters" are informative and occasionally witty (I believe in text messaging this would be LOL & a smiley face). A nice touch. As someone who knew Hughes and worked with him, I wonder how much influence his image of Ted Hughes played in the selection? Regardless of any possible bias that may have gone into the selection, The Letters of Ted Hughes appears to me to be well-balanced. To those who contributed to the volume: a big thank you. Perhaps one day another collected edition of letters will be published, allowing for a deeper understanding of this man and opening up new layers and connections to 20th century poetry. Throughout the book, letters mentioning Sylvia Plath of course piqued my interest. It was challenging not to jump to the index and read these first. But, the whole story is worth waiting for, so I recommend reading the book from start to finish. It is a moving experience. And then go back as necessary to re-read letters by person or by year or whatever. That being said, there is so much in this 756 page book that reading the letters straight through almost cheats the reader of absorbing everything. This book will be a valuable resource for those interested in the Plath/Hughes story and I hope that upon re-reading certain letters, more can be discerned & known about his side of the story. In an interview, Ireland's Nick Laird, mentions Plath's "Tulips". Laird will be giving at reading at Boston University on 8 November 2008, at 5:30 p.m. at CGS's Jacob Sleeper Auditorium, Room 129, 871 Commonwealth Avenue. The October/November2008 issue of Rare Book Review features an article on Sebastian Carter of the Rampant Lions Press. The Rampant Lions Press - in conjunction with the Rainbow Press - printed a number of limited editions of Plath's work. These titles include Lyonnesse, Pursuit, and Dialogue Over a Ouija Board. Copies are fairly expensive, but very lovely too. If these are beyond your means, libraries throughout the world do hold these titles in their special collections. The Daily Mail ran the first article of a four-part series on Frieda Hughes on 5 November. Read it here! Michael Dirda reviews Words in Air: The Complete Correspondence Between Elizabeth Bishop and Robert Lowell in The Washington Post. There are bound to be some Plath-references in this important new book. From 14-16 November, at Hynes Convention Center in Boston, Mass., the 32nd Annual Boston International Antiquarian Book Fair will take place. This is a wonderful opportunity to see and buy rare and antiquarian books. Many dealers bring their Plath items, not just because they know I'll be there, but for you, too! Now's the time to start or build to your collection. There are a couple of new books out there worth mentioning. This title is forthcoming for the Amazon Kindle ebook reader device. 68 & a maniacal "Did you know..."
Otto Plath died 68 years ago today. Did you know that Ted Hughes died aged 68, 2 months, and 11 days? Did you know that 63 days before Plath died, she moved to London? Did you know that in Diane Middlebrook's Her Husband: Hughes and Plath - a marriage, the pagination coincides so that on page 211, the author discusses Plath's death? Middlebrook, who passed away last December, was 68. This was 123 days before her next birthday. To recap some numbers, this is 68 x 2 - 11 -2. 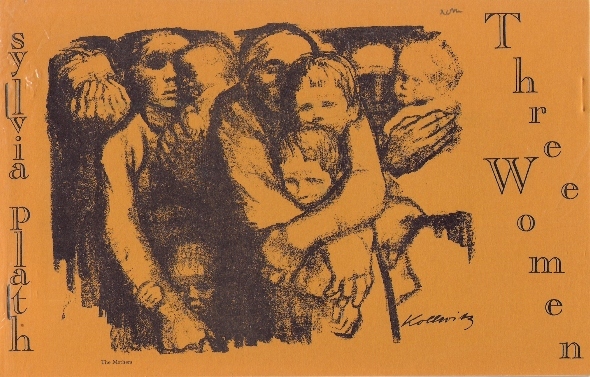 The following is a contribution to the blog by Gail Crowther, Research Student, Department of Sociology at Lancaster University. 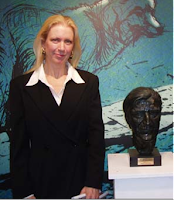 Gail attended the Freida Hughes reading during the Ted Hughes Festival on 24 October, 2008, in Mytholmroyd, West Yorkshire, and was kind enough to write this review of the reading for Sylvia Plath Info Blog readers. Thank you, Gail! From which I am now free. In the dark and ragged valley of Calderdale on a winter’s evening, we gathered in a small theatre to hear Frieda Hughes read a selection of her published, and soon to be published work. Starting from a chronological point of view, Frieda began reading from her first book Wooroloo beginning with "Three Women", a poem about an unsavoury stay in a London hospital and the attempts at dignity of the elderly women sharing the ward. This was followed by Frances, a lyrical portrayal of one of these women, poignant in its description of illness and age. "Birds", came next a poem which Frieda said “I wrote about my father but my father thought I’d written about me. May be he was right”. This was followed by "Stonepicker", a sort of mythical creation who encapsulates all the qualities that are unpleasant in certain people. Then came "Dr Shipman" and a discussion about the power such people can have over us. Frieda ponders that the answer we want most is to the question ‘why’, and yet through asking this question we sustain the power of the person. Therefore, the only power you can gain back from them is to not want to know the answer in the first place. "The Bird Cage", Frieda tells us refers to a toy of a childhood friend which created much jealousy. Land mines, crowded with imagery of dismembered limbs was introduced with a anecdote about a reading at Oxford University years earlier where a member of the audience claimed it was a response to a poem from Birthday Letters, "You Hated Spain". “No,” Hughes smiled wryly, “it’s just a poem about land mines”. "The Writer’s Leg", a poem about a friend in Australia came with the humorous introduction that the friend was no longer speaking to Hughes as he took the poem the wrong way. "Breasts", was a light hearted look at cosmetic surgery with a cracking final line and the humour of this was countered by "The Signature" a sobering poem about Plath’s books being divided between her children by their father before his death, one book of which had the signature snipped out by a prying visitor. Waxworks was introduced as a book that drew on biblical characters and mythology and classical characters all updated with Hughes’ own stories and experiences. This began with "Rasputin" – "I think we have all known a Rasputin con man". "Vlad the Impaler" followed, a wonderfully gruesome splash of colour poem that Hughes claimed "wrote itself". "The Four Horseman" finished the readings from Waxworks, the character in this poem representing how people can turn against each other. Following the reading, Frieda signed books and chatted to people. The night gone too quickly. We leave the theatre and enter the dark. GC 29/10/08; photograph of Frieda Hughes, cropped, from http://www.hebdenbridge.co.uk/.